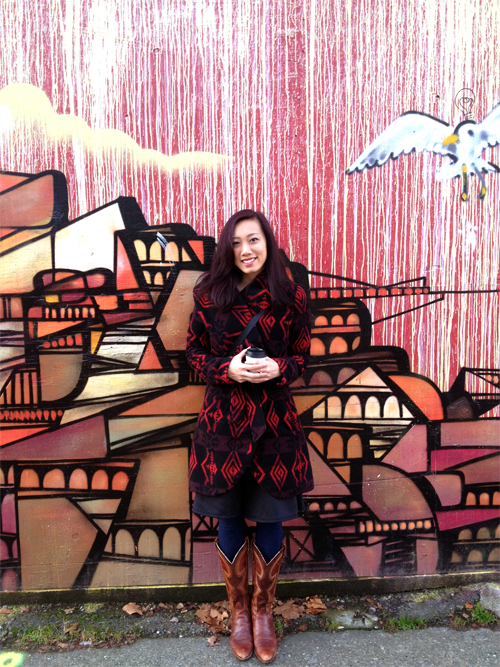 Meet Jenn Tran, a concept artist, developer, and creative, living and working in Seattle, WA. Jenn graduated from the University of Washington with a triple focus in Political Science, Art History, and Human Rights, and then went on to attend the DigiPen Institute of Technology for animation and concept art. She is currently an environment artist at Harebrained Schemes, working on projects such as Shadowrun Returns. 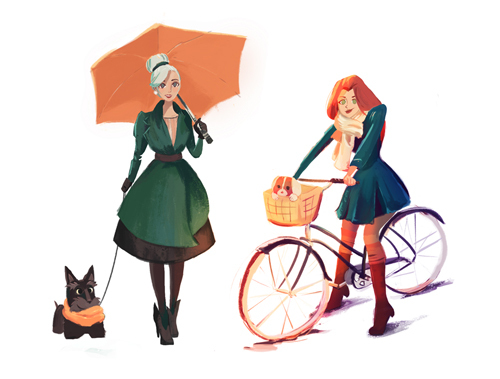 Jenn is a terrific concept and freelance artist, sharing her work through video games, exhibitions, and children's books. 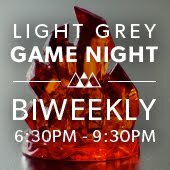 Jenn is one of the current artists Light Grey's 6 Degrees Exhibition, and we are pleased to celebrate all of her work and accomplishments! Through this interview, we get to know Jenn Tran, her personal trials and breakthroughs in creating, and some of her biggest sources of inspiration. We are continually impressed with your professional work and environments. Could you describe your role as a visual developer? Currently I'm the environment art lead, so most of my work is comprised of original concepting, making sure the art style stays consistent, and producing/managing our environment team. I mostly focus on environment work and high level concepts, design, the look and feel, and game asset creation. I also do a lot of world building for game levels which include set dressing and lighting. Can you tell us about your studio practice and how you make time for all of the projects you want to do? I'm honestly still trying to figure out exactly what my "studio practice" is. I love my job and the work I do there, but I guess what drives me to create art outside of work is trying to find a voice in my personal work. It's something I feel like I'm still developing. However, I am always gathering references/inspiration, studying, going to figure drawing, and continuing to explore more illustration and ideas. What are some of your biggest considerations? 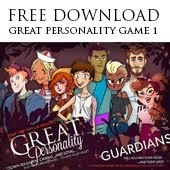 Color, theme, types of landscapes, types of characters? As an artist in games I see a lot of amazing concept art. 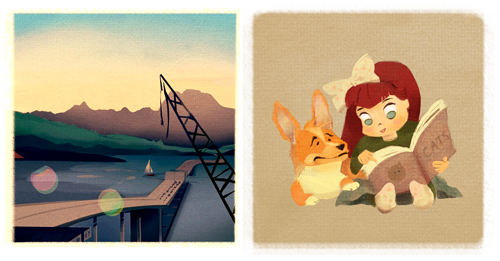 At the same time I'm discovering and starting to fall in love with visual development for feature film animation. I’m inspired by both, and it sometimes feels like a vicious tug-of-war because they are immediately so different. 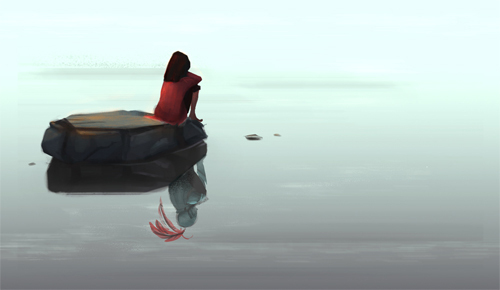 I admire the technical skill and complexity of concept art both in games and film, however I'm drawn to the design, simplicity, and clear storytelling of animation vis dev. I'm starting to experiment with elements in that realm in my personal work. Could you talk about the piece you created for the 6 Degrees Exhibition? What were your sources/stories/motivation? Originally, I wanted to do an illustration of my favorite coffee shop in Seattle. But when it came time to create my piece for 6 Degrees I was in a different mood. I was super busy with work and at the same time trying to sort out some personal feelings regarding relationships, where I was with my art, and having just received news that my parents wanted to separate. At the time I was also reading Quiet: The Power of Introverts in a World That Can't Stop Talking by Susan Cain. A quote in the book by Charles Darwin stood out to me - “A shy man no doubt dreads the notice of strangers, but can hardly be said to be afraid of them. He may be as bold as a hero in battle, and yet have no self-confidence about trifles in the presence of strangers". It seemed to describe my mood perfectly and the image I created for 6 Degrees came from that. I wanted to share the idea that home and comfort can just be a little quiet time in a really busy world. The 6 Degrees Exhibition is all about promoting other artists, sharing and connecting within our world, and about the influence of places we call home. You spend every day developing new worlds and places for games. Can you share this process? What considerations do you have to make a place special, memorable, and feel real? Working at a small game studio, you have easy access to the art director, environment artists, character artists, writers, and level designers, to help develop what a place should look and feel like. In that way, we are able to easily share ideas and connect with one another. In terms of process, I'll usually start by brainstorming with the art director or receive an initial brief to work with. I will then go onto researching/exploring/concepting out ideas either on my own or with the environment team. After we have a high level concept, the environment team will generate content for implementation into the level. This would be game assets such as props, decorative elements, architecture sets, etc. When we start integrating content for art level passes, we'll work more closely with the team to really nail what we want the world to feel like. What is the most monumental project you have worked on? The most monumental project I've worked on is Shadowrun Returns. 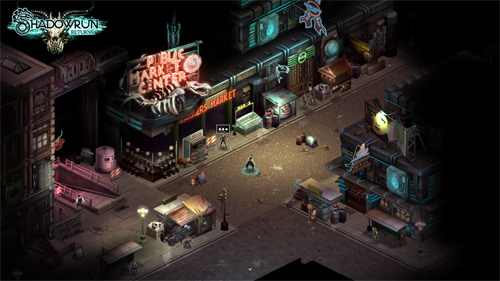 Shadowrun Returns was an indie game that was funded through Kickstarter and came out in July. I'm proud of this project because it's an example of what can happen when a group of smart, talented, passionate people get together to make something cool. It is a really good feeling seeing everyone's hard work pay off and having the opportunity to be a part of it. Right now my biggest source of inspiration is CTN Expo (Creative Talent Network). The convention was more than a month ago but it exposed me to a lot of new art/artists. While I was there I went on a tour at Walt Disney Animation Studios. It was amazing being able to see the work that goes into creating a feature animation, both in the past and present. But I think the highlight of the Expo was just meeting a bunch of artist I admire online. I got a lot of great feedback and advice on my portfolio. Everyone was incredibly kind. Seeing all the talent at CTN made me want to work harder, but actually meeting them inspired me to be more humble and helpful to others. Be more organized, meet more deadlines, make more art. Be a nice to people. Don't adopt anymore cats. Thanks Jenn! It is great to hear about your inspirations and methods of making! 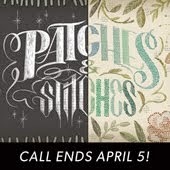 You can check out more of Jenn Tran's work on her website or blog here. You can also see Jenn's work on the Light Grey Shop and Digital Gallery along with all of the 80+ artworks in the 6 Degrees Exhibition.